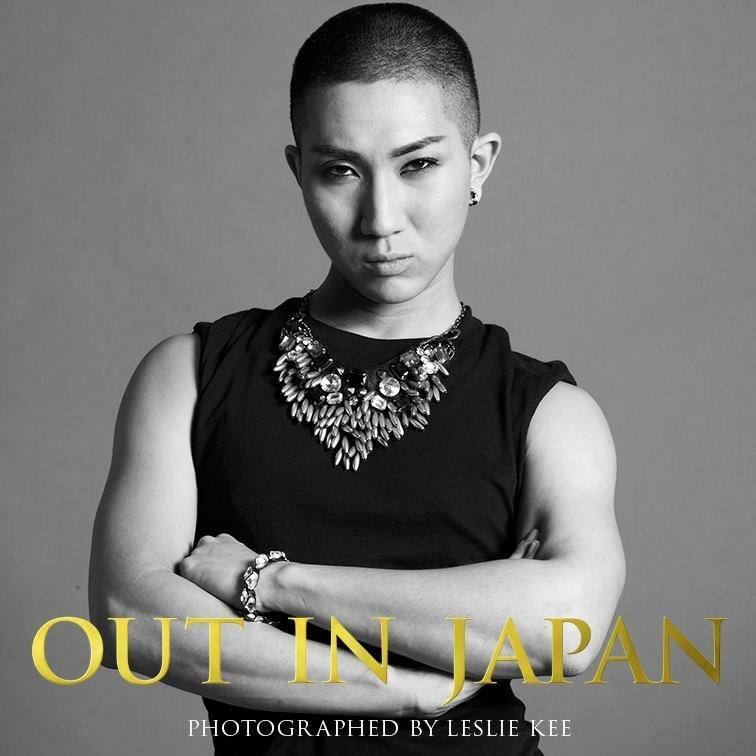 Today we welcome the gorgeous Kodo Nishimura, a Pureland Buddhist monk and an international make-up artist. This is the latest interview in celebration of my new book, ‘What Helps: Sixty Slogans to Live By‘ – the others are here. It is very easy to live with an unwanted reality and fool yourself and say it is okay. It is easy to be accustomed to it and forget to pursue what you want in life. You can forget that life can be changed by changing yourself. It is usually because of social values, common sense or lack of support. I would say, be confident and stand up, determine to be different and be honest with your feelings. It is better to live your life without regrets in my opinion. Some say that the moment you determine to make moves, the very thing you want is already in your hands. You have to step into the cave of your heart. Hold a torch of awareness and walk around, go deeper, and direct lights to all the surface of the wall and discover where your thoughts are coming from and why. When you discover the origins of your thoughts, you become fearless. I think that people who are honest to themselves are the happiest people. Do what you like, be with whom you want to be with, and love what you love. The ones who are not happy can not happy for others’ happiness. The ones who are free and happy can be generous and give love. Being honest can create chain reaction of love and smiles. Make yourself be the happiest. It will not only help you, but will help others in the end. Heartaches can be treated by physical activities. Talking to people, exercising, eating healthy and singing has helped me. When I am mentally stuck, I need physical actions to release the toxins and be balanced. If you are depressed and sick, see if it is is because of your mental problems, or it is because of the corruption of a healthy lifestyle. If you think the world is foggy, make sure your eyeglasses are clean first. I have to remind myself to slow down; breathe. I tend to worry too much about the future and forget to enjoy the very moment. It is great to be strategic and plan for the future, but if you do that too much, you will be thinking of the future when you are supposed to be enjoying the achievements. It is like you are googling the restaurant for dinner while you have delicious lunch in front of you. It is the same thing to be appreciative of the current situation. Don’t forget to be thankful for everything. Read the introduction to my new book here & the first chapter here.